EARLY registration has begun and includes a $50 discount. 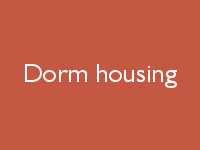 If you’d like dormitory housing on campus, select one of the housing options below. (CMAA members) To secure your extra tuition discount ($50), apply the member coupon code at checkout time. You can find the code in your e-mail or contact the CMAA office for it. is $300 for CMAA members, $350 for nonmembers (including a $75 nonrefundable deposit). The CMAA member discount code must be applied at checkout to receive the member tuition rate (a $50 discount). On-campus housing is available near the music building, Mary Pappert Hall. You can choose to stay for 4, 5, or 6 days, depending on when you wish to check in and check out. A tip: Please double-check the start and end dates for your housing choices with your course dates and your travel plans. If you order double housing: After you complete your purchase, please e-mail us with the name of your requested roommate. If you do not specify, we will assign a roommate for you. If we are unable to assign a roommate for you, you’ll be responsible for single rates. About meals: A pre-paid meal plan is not offered this year, but dining hall meals are available during regular hours on a pay-as-you-go basis. Hotel Accommodations are available a short walk from campus at the Marriott Pittsburgh City Center, 112 Washington Place, Pittsburgh, PA 15219, telephone: 1-412-471-4000. Rooms are available at the special conference price of $149 per room per night, plus tax, for single or double rooms, up to occupancy of four per room. Make your reservation on or before Monday, June 3, 2019 to get the special group rate. If you prefer to pay for tuition and/or housing by check, full payment is due by March 31st for Early rates; May 15th for Regular rates. 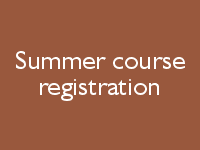 After May 15th, full payment is due with registration. Reminder: CMAA members can save $50 on registration. If you do not know the member coupon code, E-mail Janet Gorbitz or call 505-263-6298. If you register as a non-member, you will not receive your $50 discount. Why not join CMAA today? Click this link. Questions? E-mail or call us (505-263-6298).